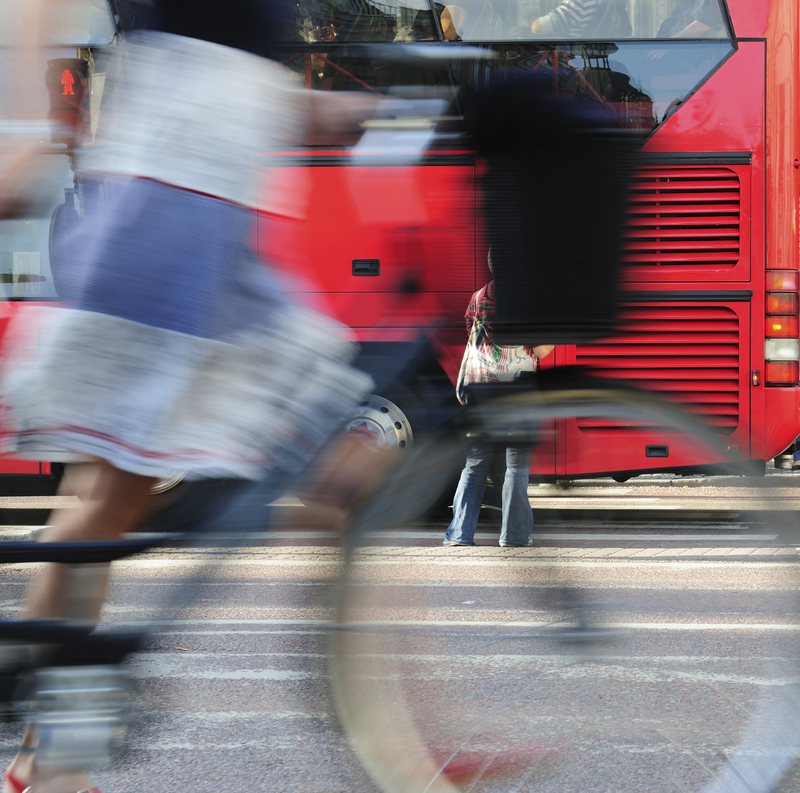 Transport NH and Bike-Walk Alliance of NH have put together a Resource Guide with data to support these reasons, tools to help you create more options, and funding sources to help pay for them. We’ve put the guide on our Resources page. Download your copy here. 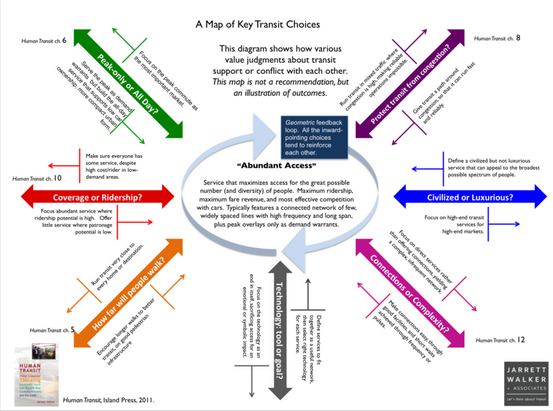 National Association of REALTORS® and Portland State University have released a new study on transportation preferences. The Governor’s Advisory Council on Intermodal Transportation is hosting a series of 16 Public Hearings to review and receive input on transportation priorities included in the draft 2017-2026 Ten Year Transportation Improvement Plan, which specifies which transportation projects will receive funding in New Hampshire. These hearings allow the public to express their views on transportation priorities. 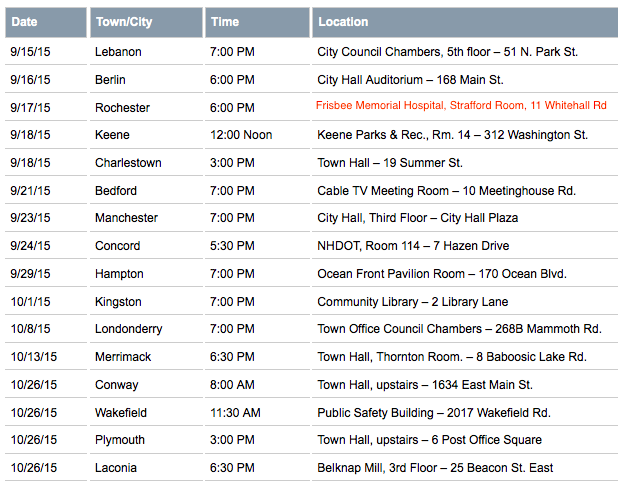 They only happen every two years, so if you want your voice to be heard, be sure to attend one or more of these hearings. Note that the Rochester meeting has moved to Frisbee Memorial Hospital, Community Education & Conference Center (Strafford Room), 11 Whitehall Road, Rochester, NH. Download the updated 2015 GACIT hearings schedule. Those not able to attend the hearings can submit written testimony within 10 days of the completion of the public sessions (No later than November 5, 2015 at 4 PM). Written Comments should be addressed to: William Watson, Bureau of Planning and Community Assistance, New Hampshire Department of Transportation, John O. Morton Building, 7 Hazen Drive, P.O. Box 483, Concord, NH 03302-0483. Any individuals needing assistance or auxiliary communication equipment due to sensory impairment or other disability, should contact Sharon Allaire, (603) 271-3344, NHDOT, P.O. Box 483, Concord, NH. 03302-0483 – TDD access: Relay NH 1-800-735-2964. The projects developed through the Ten Year Plan process will be administered according to the requirements of Title VI of the Civil Rights Act of 1964 and related statutes to ensure non-discrimination. A draft of the plan, plus supplemental information, can be found here. Here are some interesting charts showing the growth of transit statewide, and the breakdown of ridership by transportation provider in the latest state fiscal year. Click on the thumbnails to go to an interactive graph with hover-over text that displays the underlying data. A printable version, without the hover-over text, is available here.